Metareal Stage is a virtual tour platform where you can create 3D virtual tours using 360 photos. Unlike other 3D virtual tour platforms, Metareal can be created with any number of 360 photos and there’s no minimum number of photos (by contrast, Cupix requires the user to shoot a 360 photo every 5 feet). The process is definitely more laborious, but the resulting virtual tour is truly 3D and is more precise than automatically generated photogrammetry models. 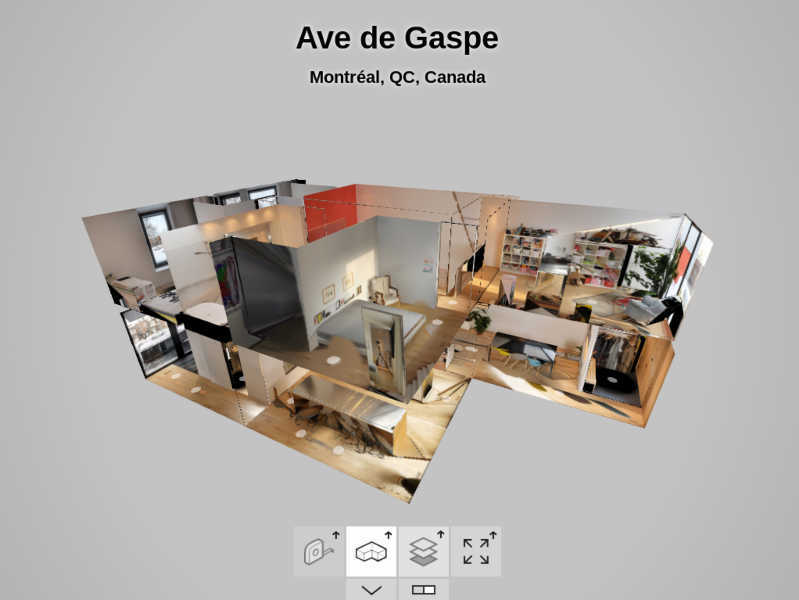 You also have features such as a floorplan, dollhouse view, and flying transitions between hotspots, a la Matterport. Here is a sample virtual tour. You can see the floor plan by clicking on the menu on the bottom. According to co-founder Gareth Morgan, Metareal will soon release an update to enable tours to become 6DOF full VR virtual tours where users with a desktop VR headset will be able to walk around the virtual tour in VR. Here is a prototype of their “full VR” virtual tour. Metareal is currently free in the beta phase. In the future, there will be several tiers, including a free tier and a pro tier, although they’re still deciding on the pricing based on how many times the tour is viewed. According to Gareth, tours made during the free beta period will get their view limit reset when the beta period ends. By tying the cost to the number of views, the user only pays when people are actually looking at the tours, thus aligning their interests with the users. “Hopefully you’re making some revenue, so our income is tied to our customers being successful,” he said. Check out the Metareal samples and let me know what you think about them in the comments! Do you think with this tool we can achieve the mix of high quality 360 pictures and comfortability of using Matterport virtual tours? Of course, this method requires more work to build the tour, but overall user experience seems same-easy. Not sure the per view pricing model is sustainable. For example shot a tour in 2008, customer paid for the tour in 2008 and it still gets thousands of views a year. I don’t charge for tour hosting nor the number of tour views. The same tour got around 100K views when uploaded to Google Maps in the first month alone. Hi GKing. Just to clarify it is not pay per view. More like free up to X number of views. For pro tier it will allow up to X+Y number of views. Create virtual tours for free with Veer Experience — now available to everyone!